Become part of one of the fastest growing and largest retail dollar-volume industries in the world today: franchising! Become an owner of a national/international franchise business operation where millions of consumers purchase your goods and/or services every day! Feel confident that the development of any selected franchise operation will be provided by some of the most experienced, dedicated and scrupulous management and marketing team members in the franchise industry today! Why Should I Consider Franchising My Business? There are many reasons to consider expanding your business through franchising. However, there are also other expansion strategies that you may want to consider. By way of example, you may decide to expand your business through the development of company-owned locations. While this option may give you complete control over all of your operations, the disadvantage of expanding through adding company-owned locations is that it usually requires a significant investment of capital, time and other resources, which can slow down the development process. The advantage of expanding a business through franchising is that the franchisee puts up the money and other resources needed for the business. This generally allows the business to expand and build its brand at a much faster rate. Not all businesses are suitable for expansion through franchising. Although many types of business concepts are potential candidates for franchising, a successful franchise generally has some degree of distinctiveness, or the potential to achieve distinctiveness, in its business segment. If it does not, it will have difficulty attracting suitable franchisees in an increasingly competitive market for such persons. A franchise may be distinctive in terms of its products, services, operations and delivery systems or marketing. If a business is to be successfully expanded by franchising, its success must be attributable to its products or services, business format, operating or management systems and marketing. In addition, the business must be teachable to prospective franchise buyers and must be easily replicable by such persons. To be successful, a franchised business must appeal to qualified franchise buyers and compare favorably with other franchises in the same market category. Making the decision to expand an existing business through franchising can represent a watershed moment in the furtherance of your strategic business plan. The first step in this process is to determine if your business is franchisable or not. This generally involves the meeting with an experienced franchise development consultant to assess the potential to franchise your business concept. 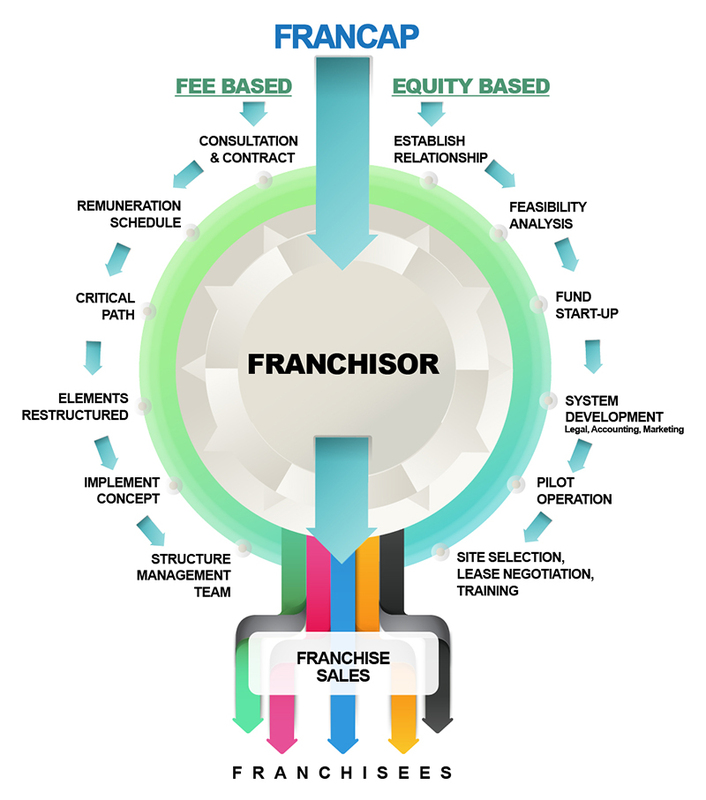 However, before a final decision is made by a prospective franchisor to go forward with developing a franchise program, the franchise development consultant will typically recommend the preparation of a feasibility study to analyze the market potential, completion, brand awareness, expansion potential and other relevant factors. Should the feasibility study indicate that developing a franchise program is a viable strategy for the expansion of the business, the next step is to commence the franchise development process. There are several exit strategies that a franchisor may consider at the appropriate time including a merger or acquisition, registration of the company's securities (i.e., IPO, mini IPO, etc. ), or other exit strategy. To get the most money from the sale of the business, the franchisor must anticipate that a potential buyer of the business will be requesting a great deal of due diligence information that will be needed to support the sale price of the business. Therefore, it is never too early to start preparing for the due diligence process. In order to be adequately prepared for a possible acquisition, sale or registration of the franchisor's securities, the franchisor must start early and consider what information would be needed by the prospective buyer (whether an institutional investor, private equity firm or other entity) or underwriter of the company's securities.